Being part of an herbivore species she really likes her greens and fruits. Strawberries and Broccoli the most! 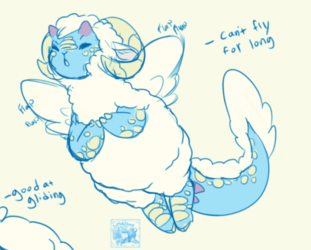 But being part dragon this makes her an omnivore so she will consume dairy and meat too. But the only meat she eats is fish and shellfish. Since sheep are prey animals she is highly uncomfortable consuming other types of meat. And of course she loves to snack on those gems. aaa thank you so much! ;w; That means a lot! 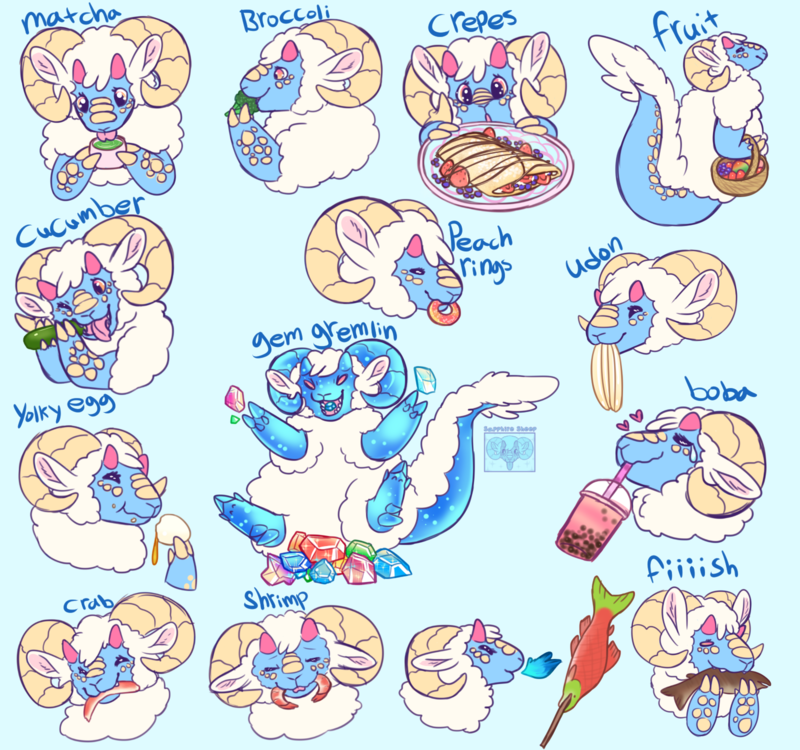 Sapphire is so much like me -- when it comes to food -- that it's almost scary, but other than that I love how cute your drawing(s) can be!